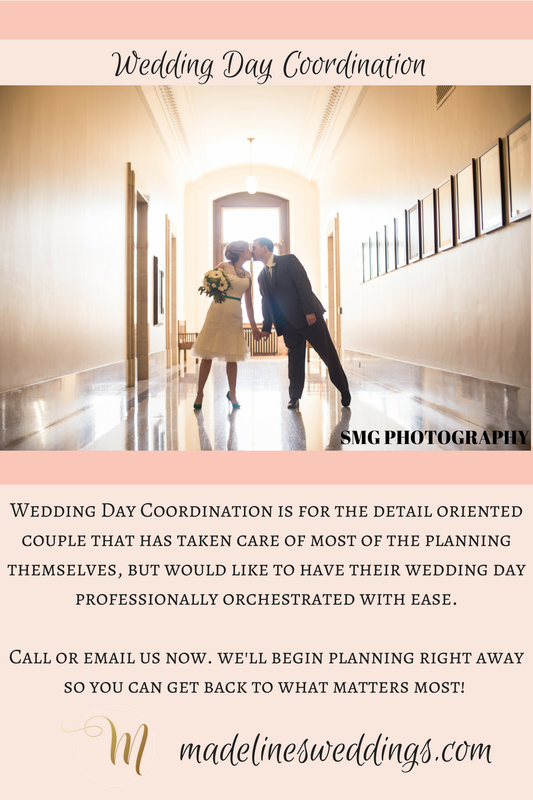 Are you thinking about a wedding coordinator? Have you planned all the details and now need someone to come in and bring it all together for you? We understand exactly how much time and effort you have put into all of the planning, arranging and the meticulous details. Let the experts work with you to carry out your dream wedding, while you enjoy this special time with your fiancé, family and friends. We do much more than execute your wedding day flawlessly. We work with you and put together your wedding day timeline, contact all your vendors for you and attend your rehearsal – we are there to answer any of your questions and make sure everyone is comfortable in their role. On the day of your wedding, we are there to take care of everything for you. Everything from ensuring your vendors arrive on time, to pinning on boutonnieres, cuing the music and your emcee to keeping the days scheduled events on time and so much more. We do it all! For a complete list of what our Wedding Day Coordination service includes, go to our website here! Take the stress out of your planning and call the experts! We’re here to help you along the way, answer any of your questions and put your mind at ease. Contact us at info@madelinesweddings.com to see if we are available for your wedding day!